Bottled on the island of Islay by Murray McDavid at the Bruichladdich distillery. 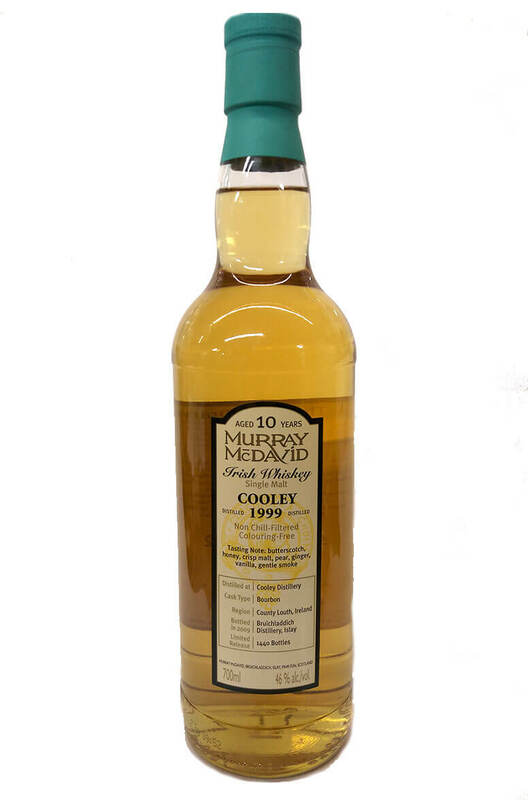 This is a Cooley Distillery single malt that was distilled in 1999 and bottled at 10 years old. Just 1440 bottles were released. Partially matured in a sherry 'bloodtub' and bottled at natural cask strength. The valinch b..